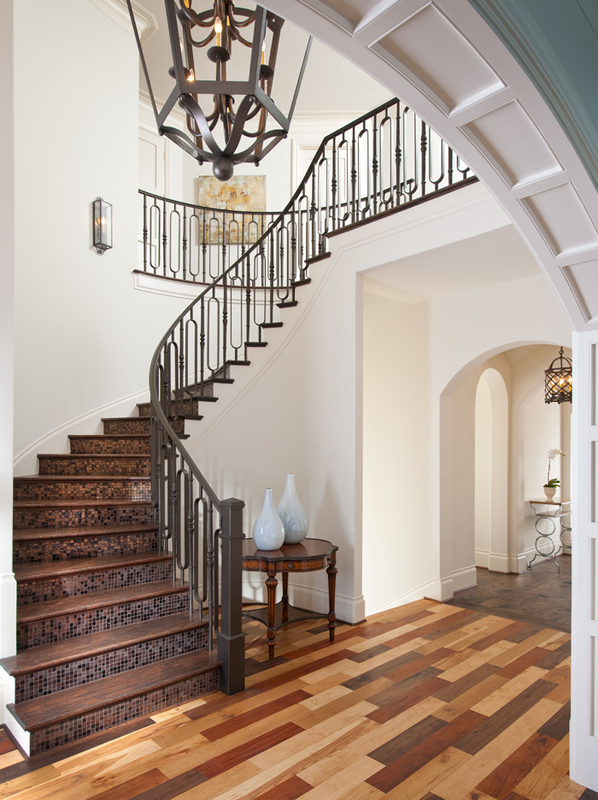 Step up the style of your staircase. 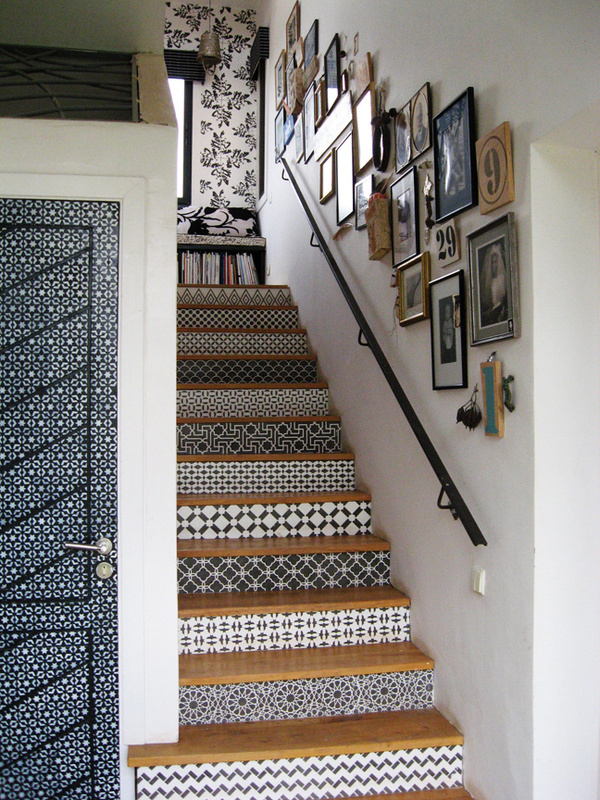 Mosaic tile treads, by Ellen Grass & Sons. Glass, tile and mirror mosaic, by Jennifer Kuhns, JK Mosaic. Moroccan treads, by Melanie Royals, Royal Design Studio/Modello Designs. Stenciled treads, by Melanie Royals, Royal Design Studio/Modello Designs. Multi-paper treads, by A Good Chick To Know. 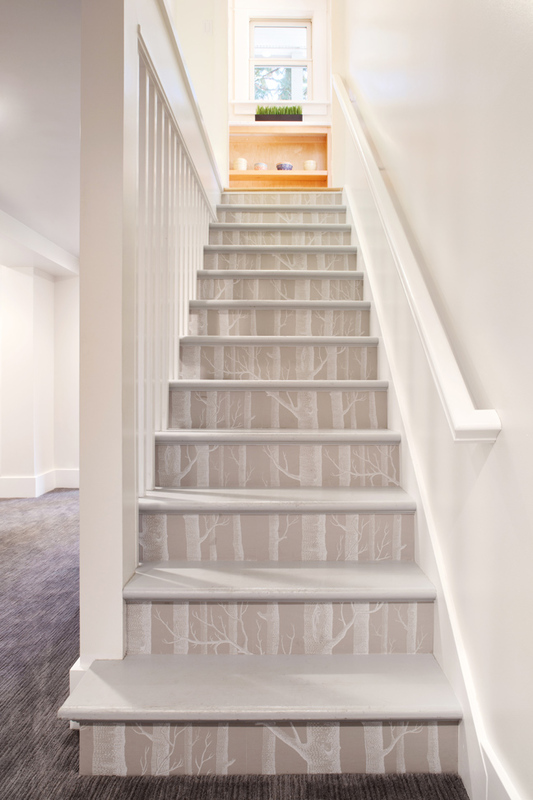 Woods wallpaper taupe/white, by Vanillawood. 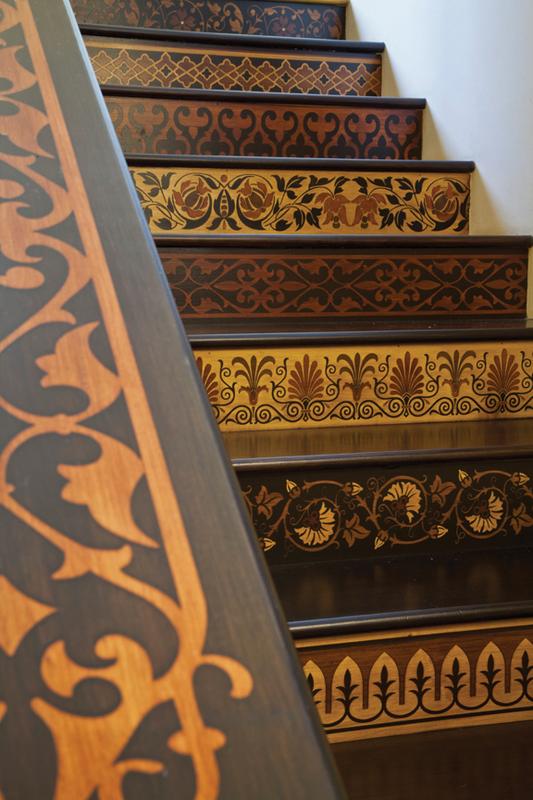 Step up the style of your staircase. 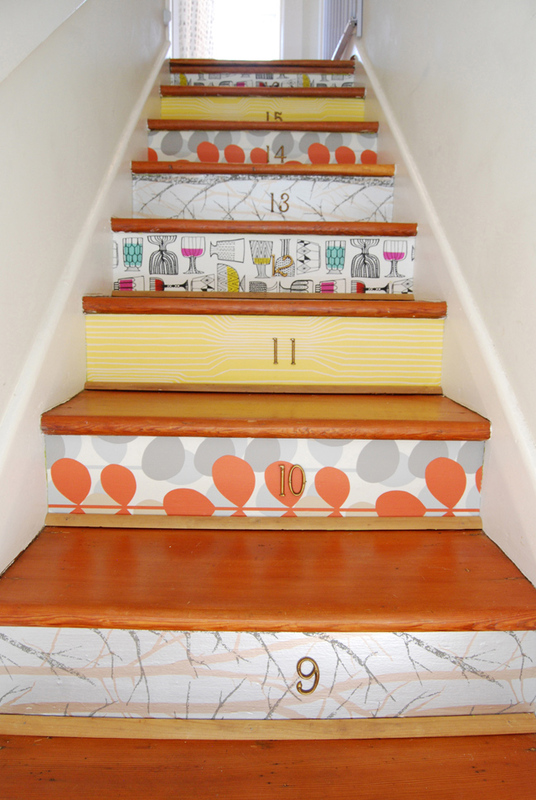 By adding paint, tile and wallpaper to the risers, you will give your stairs a fresh new look. 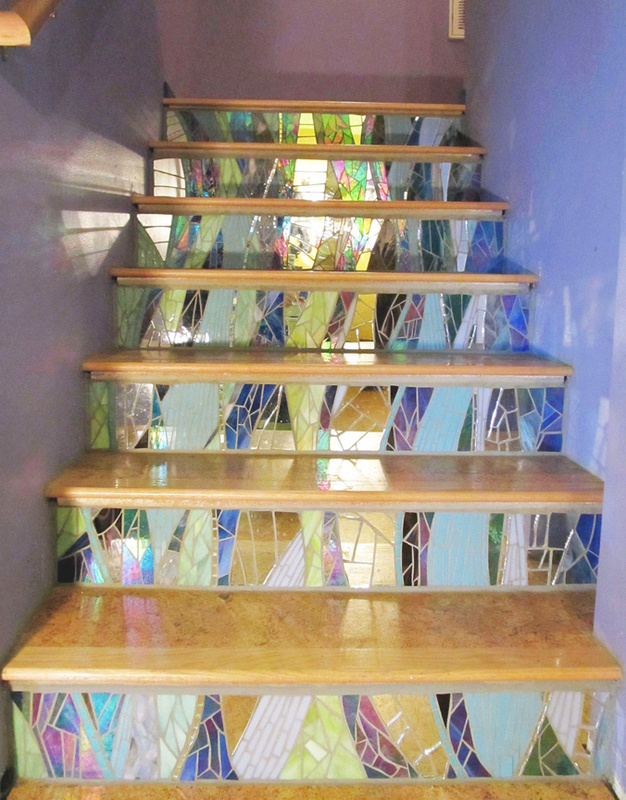 Mosaic tile treads, by Ellen Grasso & Sons.